As one of the largest manufacturers of electrical injection molding machines globally, you have a competent and reliable partner at your side. With more than 65,000 electric injection machines worldwide, Sumitomo (SHI) Demag sets the standard for efficient and precise industrial plastic processing. As a global expert in the injection moulding industry with many years of experience, Sumitomo (SHI) Demag is represented on all continents and provides you with a complete sales and service network. 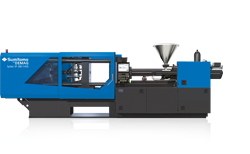 An all-electric injection moulding machine characterised by its high precision and energy efficiency. Low operating costs are what makes IntElect particularly efficient. The machine was built based on Sumitomo’s unique know-how in the development of all-electric drive systems. 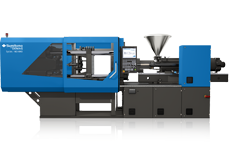 With extremely short cycle times and the shortest injection times El-Exis SP is the ideal machine for the application in the high end packaging production. 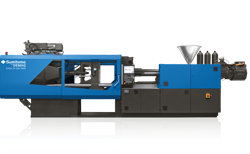 The machine convinces with its robustness and extreme filling dynamics. Systec SP is equipped with a hybrid drive system and is particularly suited for applications in packaging production. Short cycle times and high availability provide the ideal solution for many quick applications. The Systec SP stands for production effi cient processes and maximum cost effectiveness with best results. 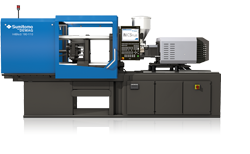 The Systec is a hydraulic injection moulding machine with a hybrid drive concept. It is designed to be extremely energy efficient and can be flexibly adjusted to many requirements and production processes – with possibilities ranging from the wellequipped basic model to the individually configured production cell.